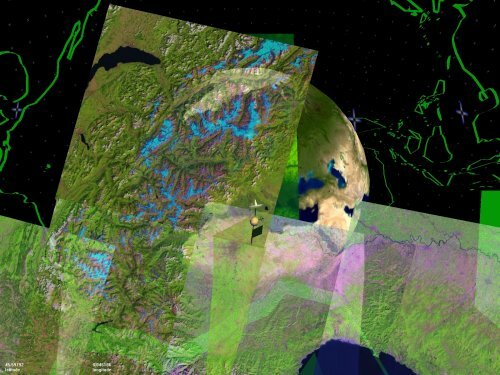 EARTH, a unique geo-spatial visualization system, culls real-time data from the Internet and accurately positions it onto a three-dimensional model of the Earth. -- a limited edition of eight multimedia objects. 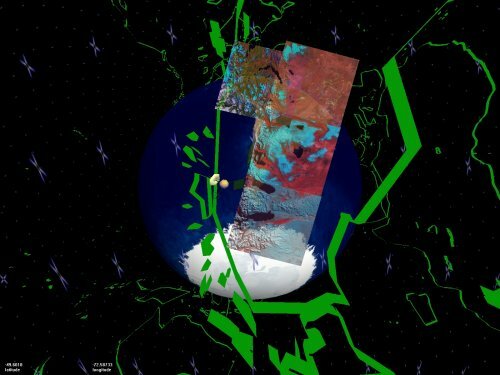 Stand-alone EARTH is a limited edition of software presented on eight multimedia objects. Stand-alone EARTH includes a 15" LCD monitor, a hand-crafted computer, and a trackball input device. 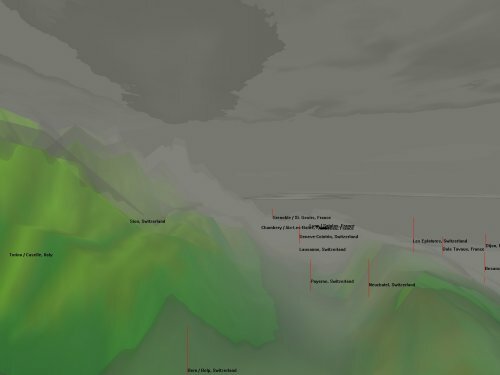 a detailed, three-dimensional outline of the earth’s coasts, based on United States Geological Survey data. a spherical mapping of GOES-10 weather satellite imagery. 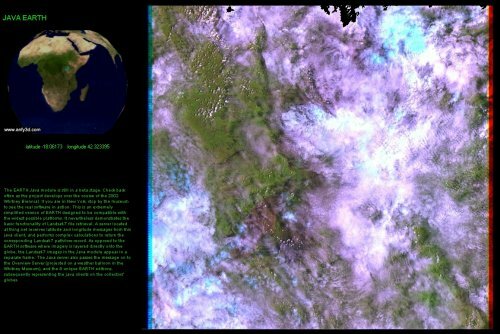 LANDSAT-7 satellite imagery of the earth’s surface. 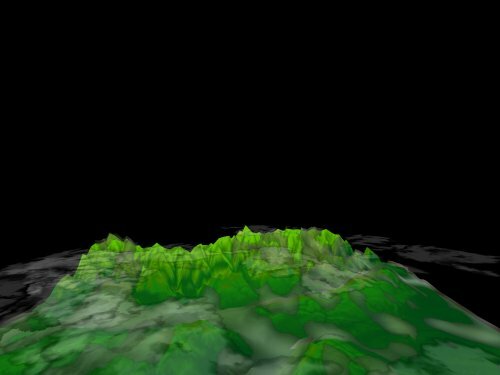 topographical maps created from digital elevation data provided by the military mapping agency. 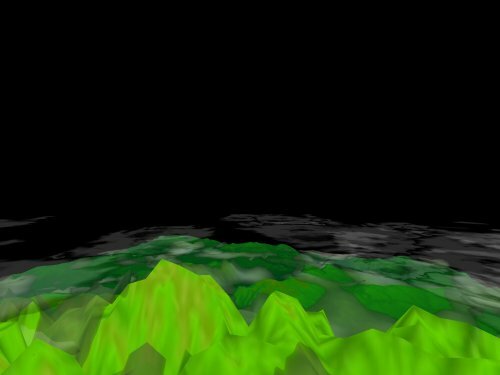 a local view of the earth’s terrain (the terrain geometry and textures are generated dynamically from raw data files available from a US military Web site). 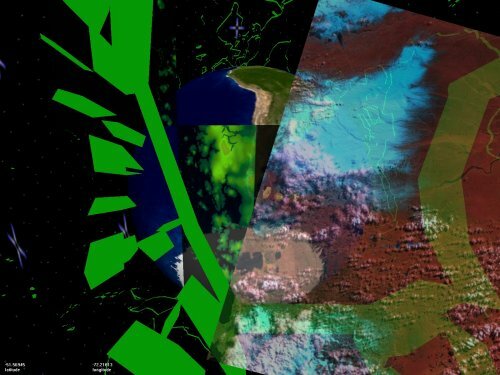 Here, viewers can "fly" through a five-degree by five-degree patch of the earth’s terrain. 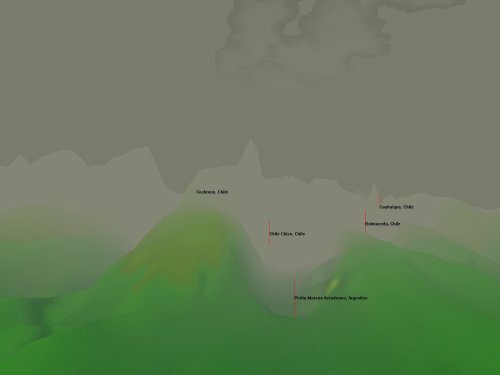 the current local weather conditions on the terrain patch -- a visual interpretation of weather from more than 6000 weather reporting stations world-wide. Weather stations are identified by a red line and their location. Visibility is translated into density of fog, while temperature influences the color of the fog (blue=cold; red=warm). Presented as a complete hardware/software object, the entire dataset exposed in this version is cached on the hard-drive, and if the system has a live Internet connection, the cached data is suplemented by the current online information. 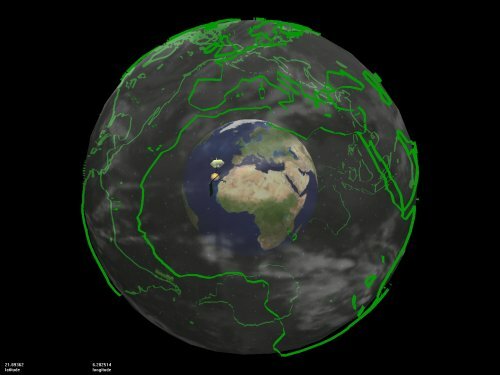 Networked EARTH represents all the online viewers by positioning satellites, and indicates a "best guess" as to where that viewer is in reality, located on the planet. The simplest level of EARTH is the easily accessible Java browser module, a simplified browser-enabled version that shows the Earth from a high orbital view. The Java module only gives access to Landsat-7 imagery -- displaying a high resolution image of the location on the globe that the viewer is looking at in a seperate browser window. 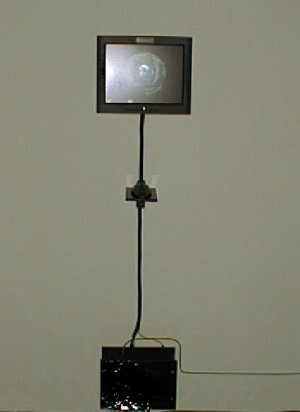 When a viewer enters the Java module, a small satellite in orbit around the Earth appears as a representation of this viewer within the stand-alone and EARTH projection versions. Satellite positions indicate the center of viewers' screens, exposing to the owners of the stand-alone EARTH what the Java viewers are seeing. 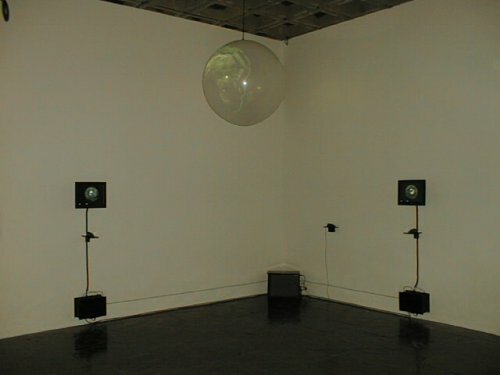 The unique EARTH projection (shown at the 2002 Whitney Biennial) is the final piece of the EARTH system. The installation consists of 2 stand-alone EARTH user stations and an overview projection. appears to float etherially in an actual space. The overview projection on the balloon shows the whole Earth from the viewpoint of the outer layer. Visible on the sphere are the Landsat 7 images viewed by visitors in the museum (at the user stations) and by users of the Java browser module. The EARTH overview projection can be rotated with a trackball input device. 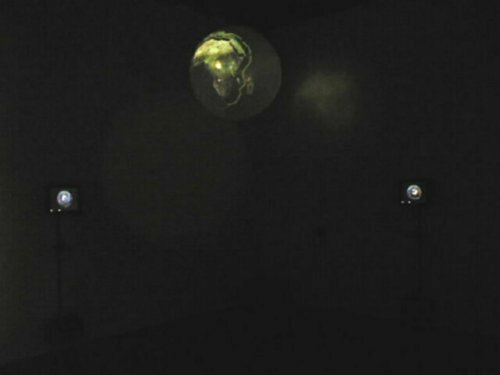 Expanding upon the networked community of EARTH viewers, the projection not only indicates other viewers positions, it also displays the exact information they are currently viewing. It is the overview of the complete system, the "Big Brother" in an a benign informational universe, reminding us of the often frigtening nature of the techno-informatic landscape developing in the real world, often not for such benign ends.